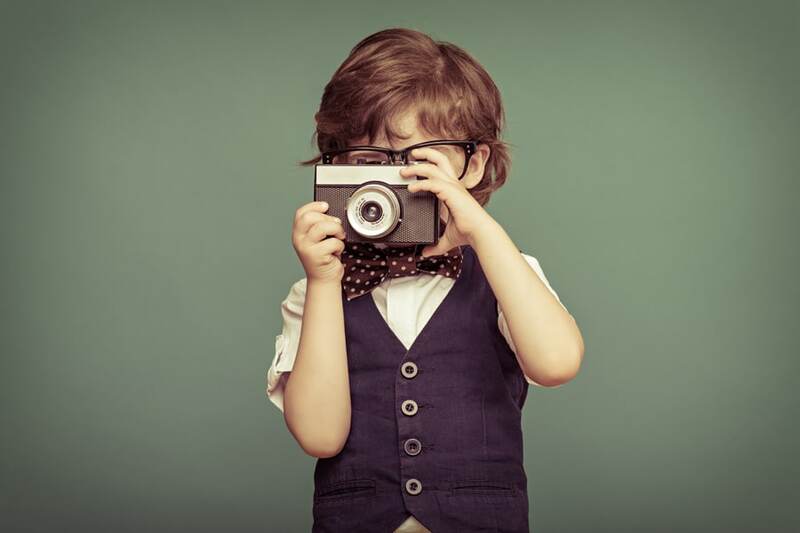 ‘Say Cheese’ is probably the most common phrase uttered before a photograph is taken. While today, smiling and photography go hand-in-hand, it wasn’t always this way. Take a look at our history of smiling in photography to see just how much this tradition has changed. Even up until the mid-19th century, camera technology was still a very new thing, and it took a very long time to take a photo. The introduction of the daguerreotype was seen as a marvel because it only took 15-minutes to take a photo, as compared to the first picture that took over eight hours. As you can imagine, it would be quite difficult to keep a cheesy grin plastered on your face for 15-minutes (let alone eight hours). That’s why you don’t see any smiles in old photographs. In fact, instead of ‘Saying Cheese’, photographers often requested that their subjects ‘Say Prunes’ in order to keep their lips pursed together. The fact that having a photo taken was an extension of portraiture also meant that the serious expressions featured in painted portraits were carried over into photography. Who Brought a Smile to Photos? Kodak made camera technology available to a wider range of people in the 20th century with the arrival of the $1 Kodak Brownie camera, which enabled even non-experts to engage in photography. Kodak’s cutting-edge technology also meant that photos could be taken far more quickly. Another way that Kodak contributed to smiling in photographs is via their early marketing campaigns. These campaigns were designed to teach the ordinary American how to take a photograph. Kodak’s how-to pamphlets were full of smiling photographers and subjects, which may go some way towards explaining the switch from ‘Prune’ to ‘Cheese’ faces. In the 1800s, good dental care was not widely available—only the absolute elite could afford to maintain a comparatively healthy smile. For most people, smiling would have been a rather uncomfortable experience as it meant flashing chipped, decayed or missing teeth. So, it seems logical that as the 20th century rolled around, and dental care became available to more and more people, smiles started to appear in photos. How to Protect Your Smile? Living in Australia means that everyone has access to quality dental care, and if protecting your dental health isn’t enough of a reason to get along to your dentist, then being able to smile in photographs should. There is nothing more beautiful than a toothy grin, and a big smile makes a photograph. Whether it’s a random snap, a family portrait or a photo taken for a momentous occasion, you need to have confidence in your smile to make the most of the photo. Stained Teeth: Whether you opt for in-chair or at-home whitening, you can expect to see results fast. If your teeth have become too stained to respond to whitening, you can always opt for veneers. Crooked Teeth: You’re never too old for braces, and if you’re a little older you may finally have the finances to get them! If visible braces are too confronting, why not consider Invisalign, for an invisible method of teeth-straightening. Missing Teeth: With bridge and dental implant treatments available, why continue to deal with missing teeth. Having your missing teeth replaced is not only good for your smile aesthetics, it’s also good for your overall oral health, as it saves your remaining teeth from having to deal with excessive force. Cracked Teeth: A crown treatment will restore your teeth to give you a naturally beautiful and uniform smile. It only takes two sessions, and you’ll also save the structure of the cracked tooth, and prevent the need for extraction later on. Crowded Teeth: Crowded teeth are not only unpleasant to look at, they are also bad for your oral health. As teeth crowd, more and more surfaces become hard and even impossible to clean which leads to increased rates of decay. Braces, Invisalign and Retainers are all effective means of preventing crowding and creating space in your bite. Photography has come a long way. It has gone from being an eight hour process, reserved for specialists, to being a means of communication used all over the world. In fact, with the spread of social media, it could be argued that photos are our chief means of expression. So, if you want the freedom to express yourself every day, make sure you have a smile that allows you to do that. Dentistry has also come along way, and you can be sure that whatever the problem is, there’ll be a solution.